Can Japan Change? Yes, It Can! It may not be a revolution, but change is happening in Japan in important ways. For decades, Japan has been described as stagnant and arthritic. But no society remains the same forever, and even stagnation must come to an end. Earlier this spring, I published an article in Foreign Affairs titled, “Japan’s Change Generation,” which describes developments taking place in Japanese society, among businesses and the public. Specifically, a more open attitude is emerging toward entrepreneurship, global education, civil society, and women in leadership positions, especially among people in their 30s and 40s (the “76 Generation” or “76-ers”). That article was based on 40 interviews I conducted with businesses, nonprofit and education leaders in Japan. This month I convened a private symposium at Carnegie Council in New York City to analyze the issues I raised in that article. The panel, which included experts from civil society, finance, business and education, attracted a sold-out crowd of more than 100 people interested in Japan’s future. The discussion was conducted according to the Chatham House Rule so while I cannot quote the specific participants, below are some key takeaways from that exciting event. My argument goes toward dispelling at least three myths about Japan: that it is socially stagnant; that it is becoming nationalistic; and that change can only come about through a massive revolution akin to the Meiji Restoration. Instead, the currents of change are happening inside Japan in subtle but significant ways: mindsets are more self-assured and confident, with people focusing on improving their standard of living rather than being haunted by an inferiority complex toward the world. The priority of younger generations coming into positions of power is about finding meaning in life rather than addressing global challenges. Meanwhile, Abenomics is providing a deeper impetus for economic revival than did the policies of the Koizumi administration. While Prime Minister Junichiro Koizumi emphasized structural reform and opportunities for “barbarians at the gate” (foreign investors), that approach did not create much domestic confidence. Abe, by contrast, has captured the sentiment of a more confident Japan and branded it using his own name, meaning he has a political stake in making it work. Also in contrast to previous administrations, the Abe team announced it is targeting inflation, thereby creating the expectation that it will happen. It was noted that Abenomics may have a 60 percent chance of succeeding; however, even if there is a financial crisis in Japan, it won’t be catastrophic as its debt is mostly held internally and Japan has social safety nets in place. Japanese corporations need to find ways of using the mountains of cash they have been sitting on, as well, in order to spur investment. A small marginal increase in profitability can be significant in relative terms, given the low starting points. Similarly, a small wage increase can spark a positive wealth effect. Other challenges include the ongoing debate over the constitutional revision and reinterpretation but Japan will likely maintain the spirit of pacifism. Similarly, although there will be obstacles, Abe has been the first prime minister to make female leadership a national policy target through guidelines for organizations and companies, which are finally discovering the massive pool of talent underutilized in Japanese society. While the baby boom generation focused on efficiency and stability, the newer generation appreciates the value of innovation, risk-taking, and diversity, all central values in remaining relevant in the global economy. The retirement of the baby boom generation will usher in new values in the corporate and academic sectors. By 2020, a 30-year cycle of destruction will yield to a new era of prosperity in Japan, in conjunction with the emergence of Japan’s 76-ers and the Tokyo Summer Olympics. Finally, the educational sector is shifting toward a greater embrace of critical thinking, risk-taking, and global awareness. That means that the current changemakers, who are primarily exceptional people from the financial and corporate elite, can move from being exceptional to being the norm. Change agents that are in the fringes are expected to move to the center of society in the next five years. So yes change is inevitable in Japan, as it is in every country, and many experts expect much of that change to be quite positive. Devin Stewart is senior program director at Carnegie Council for Ethics in International Affairs and a Truman National Security Project fellow. 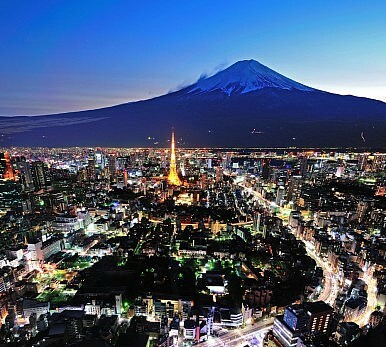 What does Japan need to do to make Tokyo a true global financial center?